Rapolano, a seemingly rugged land with its towns dotted throughout the rough, clayey Crete Senesi, hides a warm heart made of thermal waters full of therapeutic properties that bubble up to the surface. The springs have been used since the Roman era, especially the Antica Querciolaia and the San Giovanni Terme Rapolano, peaceful places immersed in unparalleled landscapes. It even seems that Giuseppe Garibaldi, soaking in a travertine basin that still exists today, found relief for his wounds thanks to these miraculous springs. Amidst warm baths, hydro-massages and mud, you can enjoy a relaxing vacation in an iconic part of Tuscany. Nature in Rapolano doesn’t just offer the gift of its waters, but its stone as well. Another precious resource of the earth is travertine, which has formed over the years in the waterfalls, springs and basins where limestone was present. This stone, porous but strong, has been mined since the 1500s, and it’s still an important industry in the area. In the past, it impacted everything from the landscape to architecture, serving as building material for many monuments. Thanks to the quarries we have the Church of San Biagio in Montepulciano, the façade of the cathedral in Pienza and the front of the Church of Provenzano in Siena. Another important resource bestowed by the land is its high-quality agriculture, where delicious olive oil is produced, a product that has long been important for this region, so much so that the Grange Museum offers a display about olive cultivation and pressing. 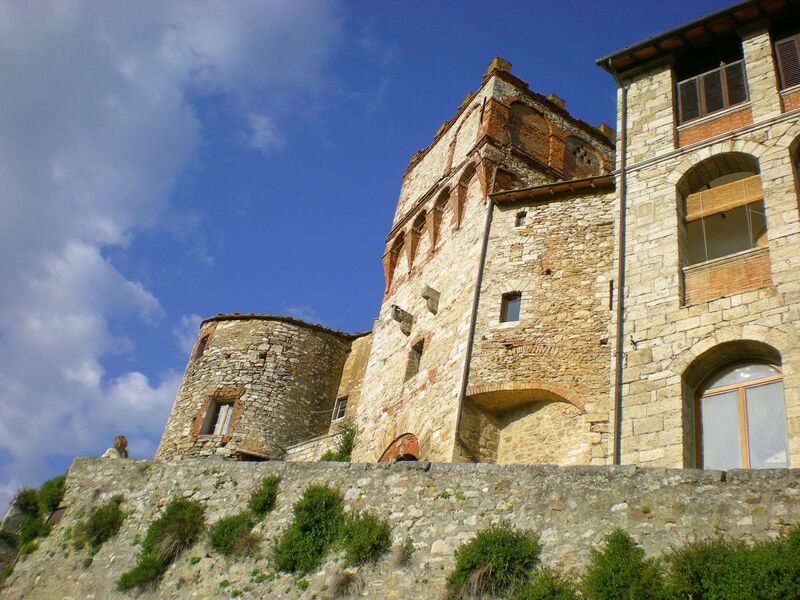 The museum is housed in a historic building in the hamlet of Serre that was once the granary and storage space for Santa Maria della Scala in Siena.